There have been several very important Calvin Klein underwear models. Some were very, very important. 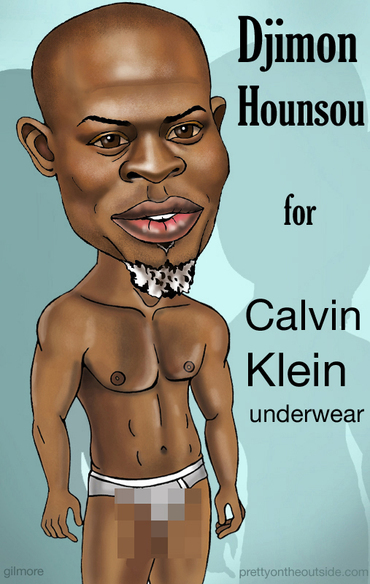 I have recently read that oscar nominated actor Djimon Hounsou is going to be added to that list. And I say it's about time that they add some variety and color to their campaign. Now before any of you write in that I'm stereotyping, I can tell you if football player Tom Brady was going to be their next model, I would have done the exact same drawing. Note to the Calvin Klein execs: Hire Mr Brady next.